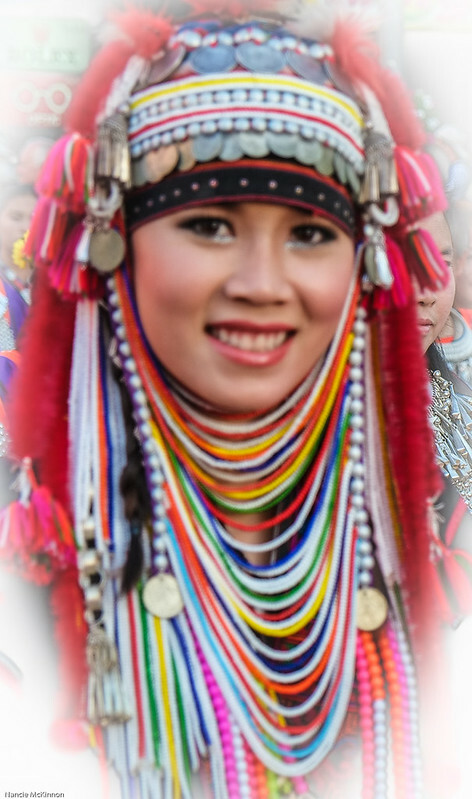 Beautiful Hill Tribe dancers and costumes…. Isn’t she stunning in her traditional costume? The men look so handsome in their outfits! I can only imagine the work that went into attaching all those beads. The traditional hats are beyond gorgeous! Non-stop energy as they dance the parade route! 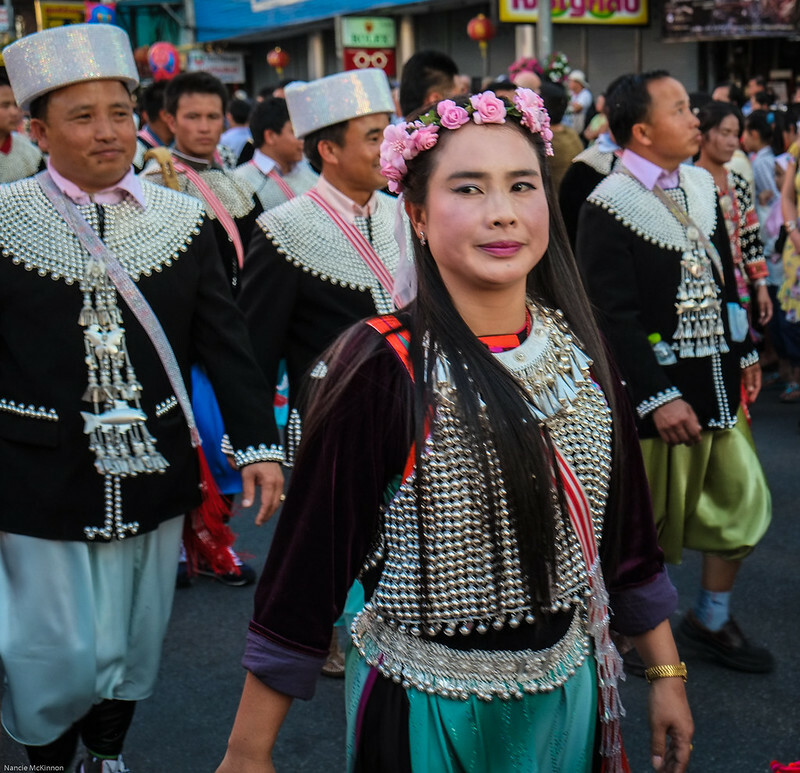 Chiang Mai’s Flower Festival is one of the best opportunities to see these beautiful Hill Tribe costumes. Remember, that parade is held in February, either the first or the second weekend. 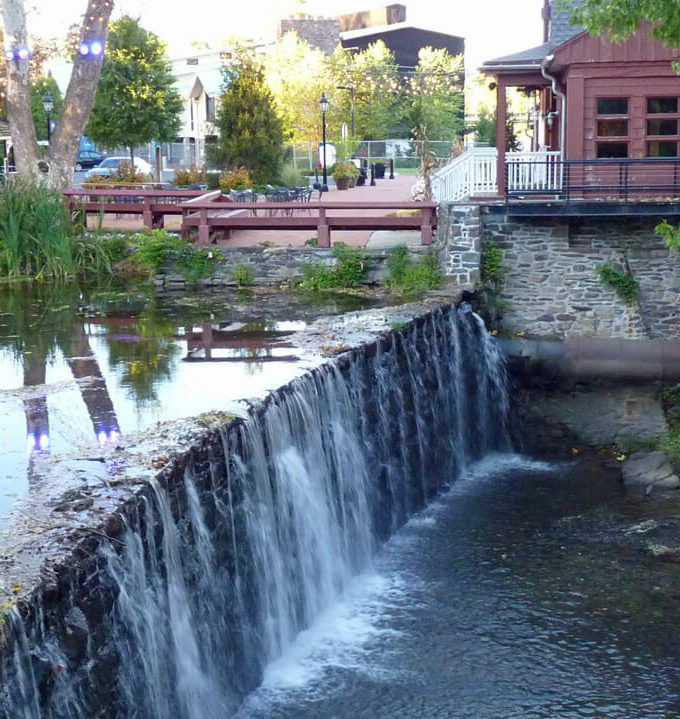 This is the 165th edition of Travel Photo Thursday. You can browse the archives here. Glad you’re home, Nancie! I can’t get over how beautiful those costumes are. They’re so colorful and the details on those bead work are just exquisite. It is interesting to think how long it took them to do all that intricate work. That is some dedication and patience. Thanks for sharing these beautiful pictures from this parade. Beautiful costumes, indeed. I especially like the two girls in blue, they’re so cute! Thank you for all the photos from this festival. Hi! Yes they were so pretty, and loved having their photo taken. While another wonderful adventure comes to an end, what wonderful memories and photos you brought back with you. These photos are absolutely superb, Nancie. The faces are portraits – beautiful portraits. Thanks, Jackie! I was pleased the these turned out so well. As you know, taking photos in crowds can be a challenge! Hi Jenny! If you ever have the opportunity to be in CM at flower festival time, don’t miss it! So beautiful and colorful, love your photos! Thanks, Catherine. I’m so glad you enjoyed them. And thanks for linking up this week. What beauties in the second and third photos – and what colour in their outfits. It sounds like a bit of a rude awakening heading back to Korea – but in a few weeks I’ll probably be seeing spring blossoms on your website. Hi Leigh Yes, a real shock indeed. My skin has literally dried out over night. Woke up this morning to my arms covered with blood. I must have scratched all night…ugh! It is the moisturizer for me, non-stop. I would love to see this in person, and the flower festival seems like a beautiful time of year to experience the region! Love your vibrant photos! 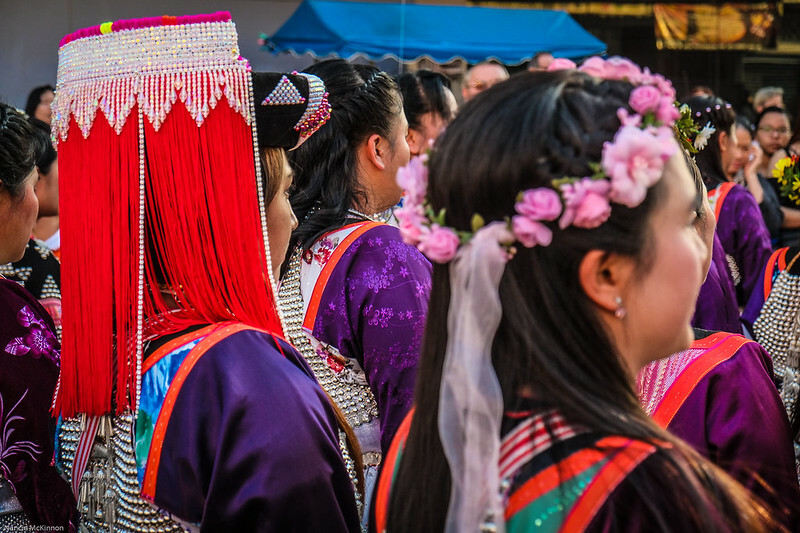 December and January are great months to visit Chiang Mai. It’s cool at night, so you can sleep with just the windows open, no A/c. Then, days are sunny and warm. I didn’t see a drop of rain the whole time I was there! Welcome home Nancie! Gosh these costumes are colourful, and how intricate. The hours and hours of work that’s gone in to make them is a little mind boggling. People have such patience (not me though!). Hi Johanna, and thanks! I would never have the patience for this bead work either! I admire the ladies for their patience. I especially like their hats. Their outfits are so colorful and intricate. Yes, I do bet that it must take a long time to do all that beadwork. I hope you adjust quickly to the cold. Hi Michele! I have the woolies on! Nothing like going to bed in layers…haha. All the bead work is done by hand, so I an only imagine how long it takes; definitely a commitment. Those are way fancy dress-up duds! High Nancie, lovely photos as usual. The people and their costumes are just gorgeous! Hi Rachel! Thanks you, and nice to see you here again this week. Gorgeous photos. It brings me back to the time I was climbing the mountain where the hill tribes lived. It was a sweaty, but wonderful time! Love the shots! 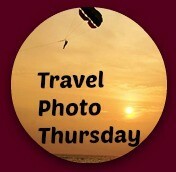 Hi Corinne…Welcome to Travel Photo Thursday. I’m glad you like the photos! Very beautiful costumes, though some of the women’s head gear do look a bit heavy – and hot. Looks like Chiang Mai is the place to be in otherwise grey, dreary February. Hi Sophie! Nothing but sunshine in Chiang Mai in February and beautiful flowers! Wow, these are magnificent photos!